Our Guarantee: We shall perform services listed in accordance with those standards and specifications set forth in the requirements for custodial services. Services will be subject to inspection and acceptance by OSHA. Providing quality: We have been in business for over thirty-five years and within that time span we have satisfied various companies, including GTE Communications, State of California, Verizon Communications, State of California Highway Patrol and The Department of Rehabilitation. Vision: We use the most innovative materials and equipment to fulfill our services. We are bonded and insured, and we take pride in the display of our workmanship. 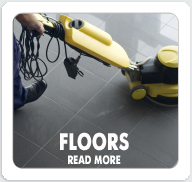 Our employees are trained in the professional field of cleaning and maintaining a healthy work environment. Williams and Associates has twenty-four hour service and your needs are our needs to fulfill while servicing your location. We have been in business for over thirty-five years and within that time span we have satisfied various companies. FLOORS - Floors and baseboards will be free of dirt, debris, removable stains, film, traffic marks. 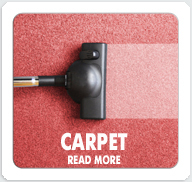 CARPET - Carpet will be free of dirt, dust, lint, stain or foreign matter. Spot cleaning and vacuuming. 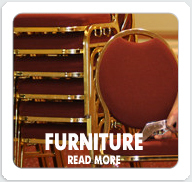 FURNITURE - Surfaces will have a uniformly clean appearance, free of deposits, streaks, film and removable stains. WALLS/DOORS & PARTITIONS - Surfaces, accessories, decoration and hardware will have a uniformly clean appearance free of dirt, stains, streaks, spots, lint and cleaning marks. FIXTURES - Fixtures will be clean and sanitized, free of odor, dirt, marks and foreign residue. 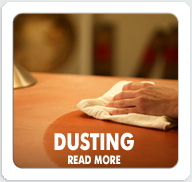 MATS - Mats will be free of dirt, dust, lint or other foreign matter. Walk-off mats will not have an oil type treatment.